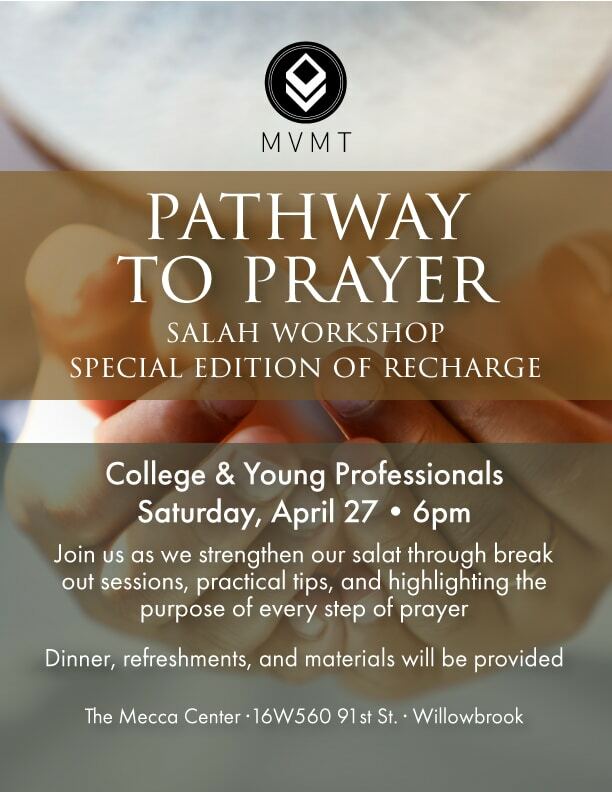 The Mecca MVMT invites College and Young Professionals to “Pathway to Prayer,” a salat workshop and special edition of Recharge, on Sunday, April 28 at 6pm with Sheikh Hassan Aly, Sheikh Omar Hedroug, and Sheikh Tariq Musleh. Join us as we strengthen our salat through break out sessions, practical tips, and highlighting the purpose of every step of prayer. Dinner, refreshments, and materials will be provided.